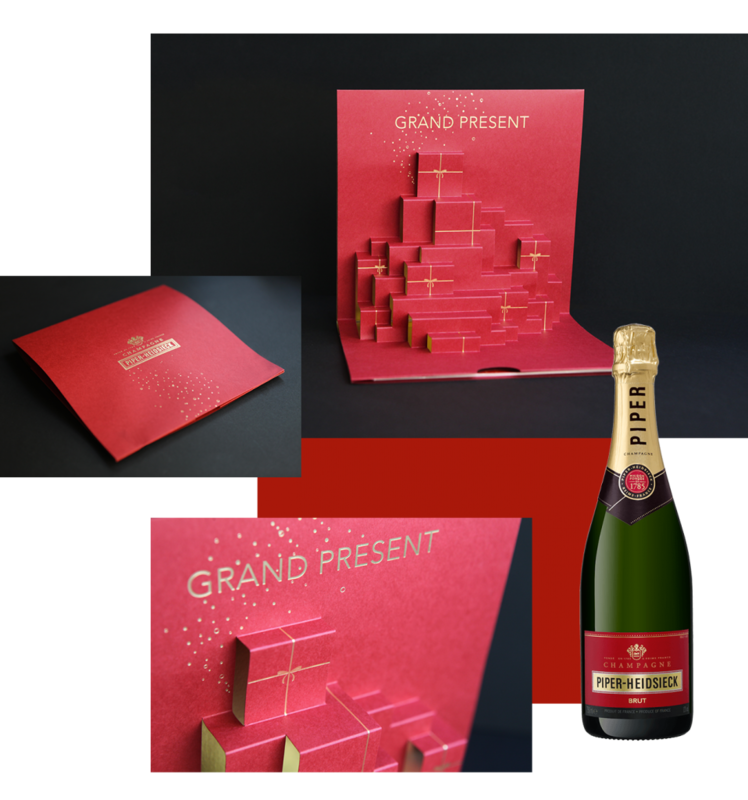 Creation of a greeting card for Piper Heidsieck. Pop-up takes the concept of the Christmas shop windows of the luxury shops: the accumulation of gift packages which hides a bottle of champagne. The pop-up card reminds the Christmas display in luxury shops.